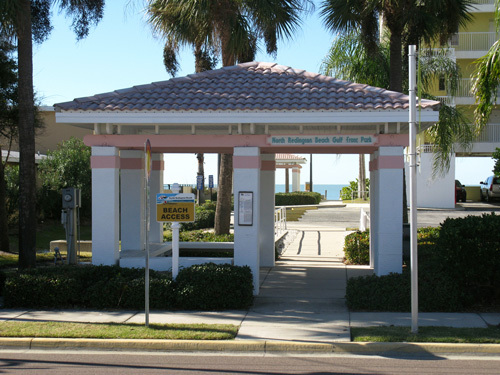 The Frog Pond Restaurant, on beautiful North Redington Beach, was the site of our breakfast last Tuesday. 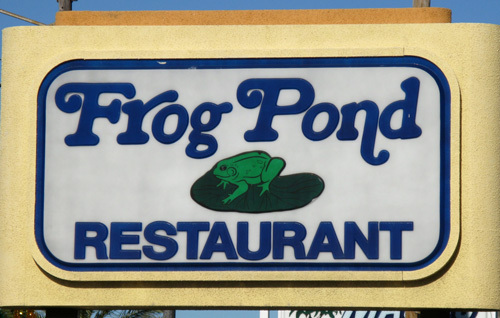 Breakfast at the Frog Pond packs in both aware locals, and curious visitors to the Florida Beaches. I was hesitant to eat here because it was missing two of my main criteria for eating on the Florida beaches...a waterfront view and outside seating. However, I was glad I allowed myself to be talked into it. 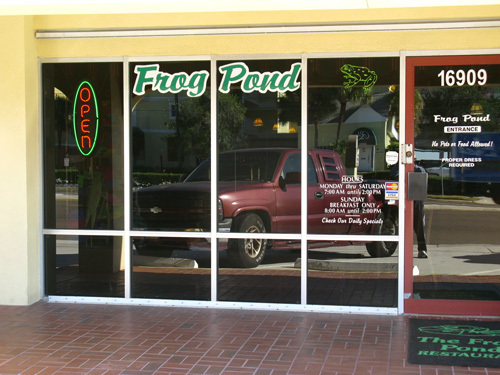 The Frog Pond is a unique little restaurant on Gulf Blvd that serves ONLY breakfast and lunch. Open from 7am to 2pm, it is best to get in prior to 9:30am...because then it starts filling up. Women will love this place. 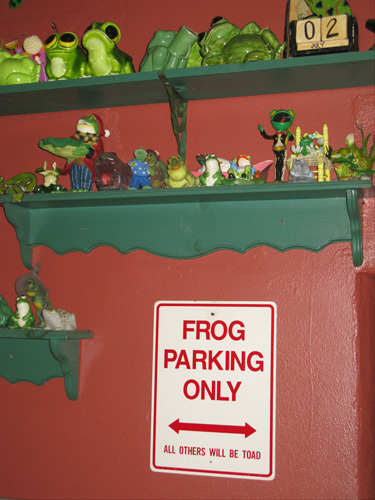 The entire decor centers on the theme of "Frogs." 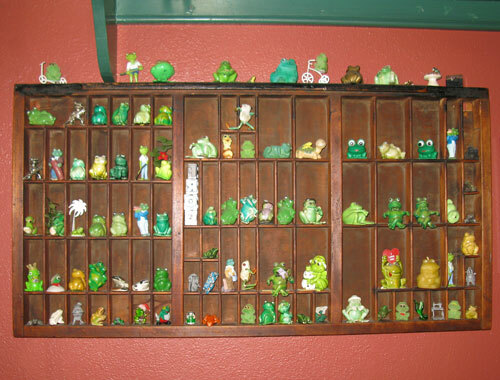 All the paintings, all of the drawings, and all of the knick-knacks...are focused on frogs. 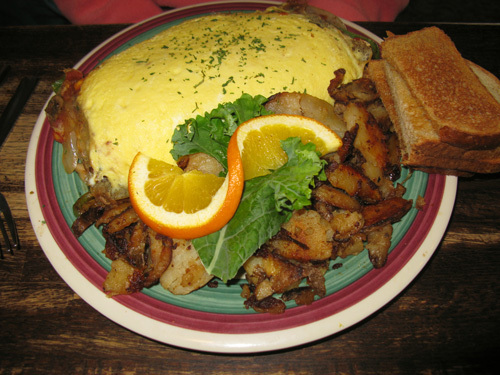 There is no way you can eat a whole omelet. I'm glad we split one. The service was great, the food was excellent, and the chunky jam on the table was homemade. Our bill was about double of what we usually spend on breakfast at the beach, but it was still under $20...and well worth it. There is nothing ostentatious about the entrance. It is real understated. The inside is both interesting and immaculate. The colors are pleasing and subdued. 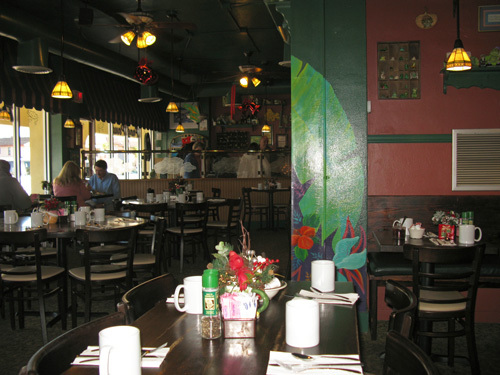 There are plenty of tables...but they get filled up quickly, especially on Saturday and Sunday mornings after 9:00am. 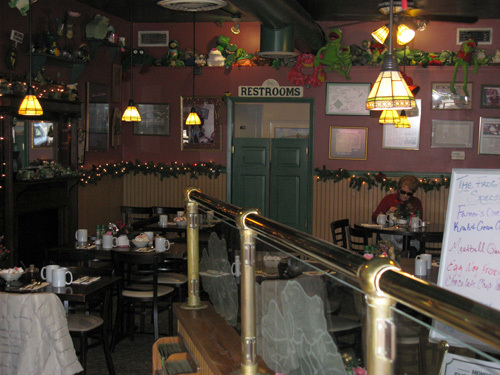 You can see how dedicated The Frog Pond Restaurant is with maintaining its theme. Checkout the knick-knack shelf. Where did they find all of these figurines? 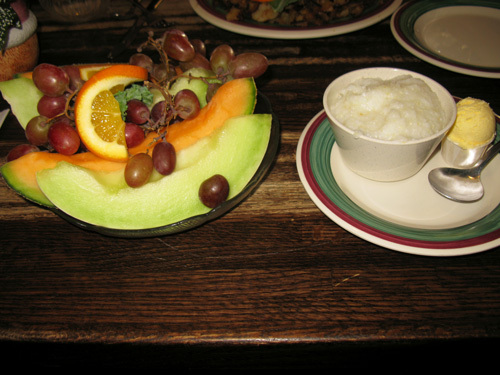 The order of seasonal fruit was huge, as was the bowl of grits. 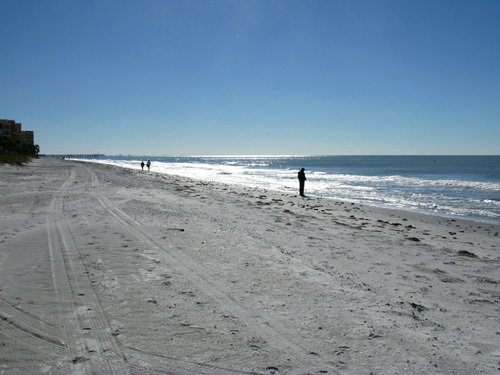 Fortunately, there was beach access path right across the street so we could walk-off a bit of that great breakfast. 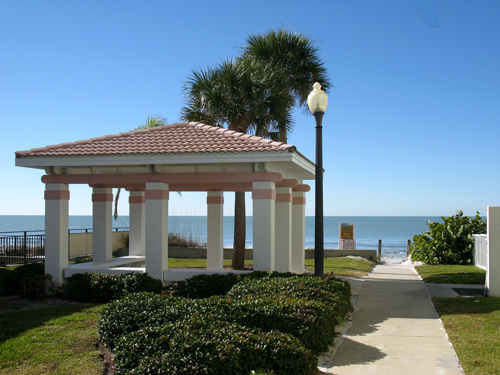 There was a nice pavilion at the end of the end of the beach access path. This is the beautiful view we had looking north. 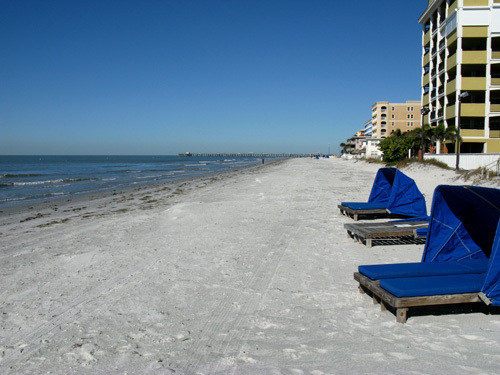 To the south, North Redington Beach stretches out in the warm Florida sunshine. I love living in Paradise. 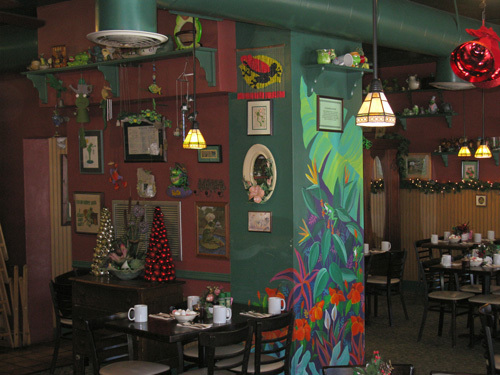 The Frog Pond Restaurant is not just another novelty eatery. 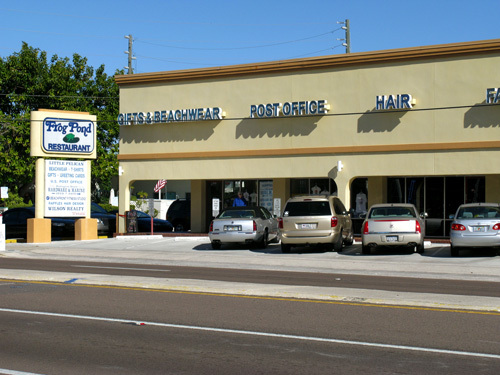 Make sure you stop by on your next Florida beaches vacation.